Third Saturdays, 9:00 a.m. – 12:00 p.m. 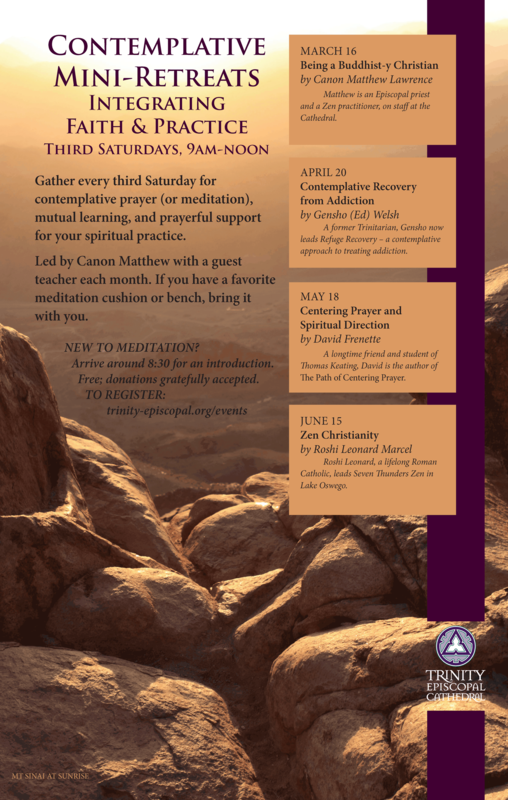 Gather with us every third Saturday for contemplative prayer or meditation, mutual learning, and prayerful support for your spiritual practice. Led by the Rev. Canon Matthew Lawrence, with guest teachers each month. If you have a favorite meditation cushion or bench, bring it with you! New to meditation? Arrive around 8:30 for an introduction.